We’ve all heard that familiar buzz or a blown speaker. This is a sound so torturous that it makes listening to the pleasantest of music practically unbearable. Obviously, when your car stereo gets to this point it’s probably time to get it replaced. 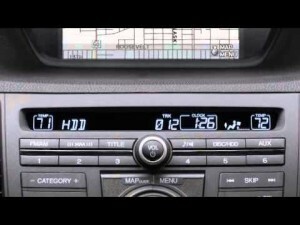 Some people are fine with the factory model stereo and just don’t know what their options are and other people might know their options but just don’t have the money to upgrade their car stereo. Here are a few options for those who are clueless to those who are simply trying to be frugal. First of all, your factory system is rigged against you. That’s not to say that the system is bad, but with some slight modifications you will get substantial returns on your sound quality. The thing is that your factory system is perfectly capable of doing almost anything a replacement system can, but more times than not it lacks the power replacement systems can give you. So, car companies compensate by equalizing the sound system in a way that may not give you optimal sound. One thing you can do is to install a digital amplifying unit. This device controls the equalization of your stereo and directs that sound around the driver so your music sounds better than ever—and you don’t have to replace your existing stereo! Another thing you can do is to add a processor/amp to your existing sound system. The advantage to this is that you won’t have to cut any wires. For example, the Powerstage by Kicker™ adds power to your current system and comes with a vehicle specific wiring harness that plugs right in. Probably the simplest way to upgrade your factory stereo is to simply buy the 1/8th inch AUX plug. You can find these at most convenience stores, and it will only cost a few dollars. With this cord you can plug in your iPod or music player of choice (some of you have a Walkman still kicking around, right?). 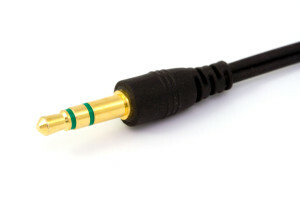 Most new cars come with a plug for this cord, and it will turn your car into a much more diverse music machine. These are simple ways to upgrade your sound system without replacing the entire thing, so consider these options before sinking money into a brand-new system. Posted in Accessories, DIY, Entertainment, Music, Technology and tagged Automotive, Music, Sound, Stereo.